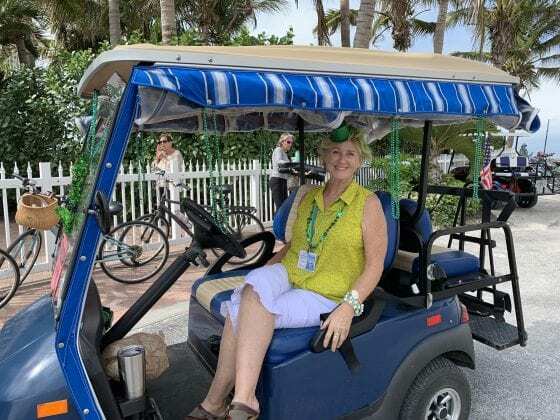 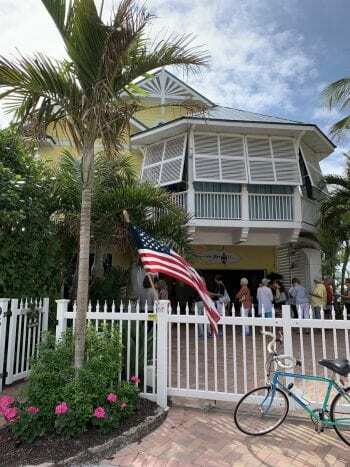 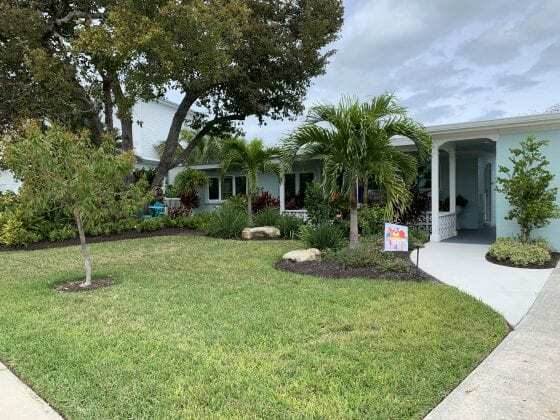 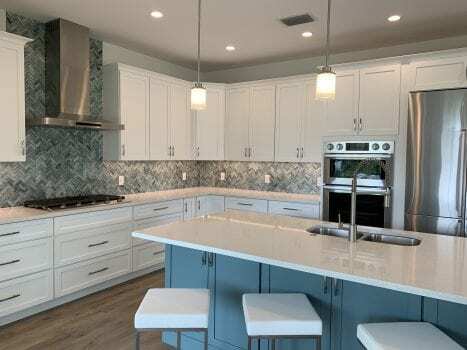 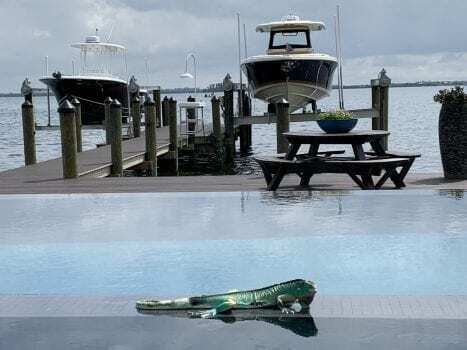 ANNA MARIA ISLAND – The 26th Annual Tour of Homes was so popular that attendees sometimes found themselves waiting for up to 10 minutes to enter one of the four beautiful Island homes featured on this year’s tour. Attendees were graciously greeted in each home by volunteers who had stories to tell, highlighting the unique aspects of each area of the homes. 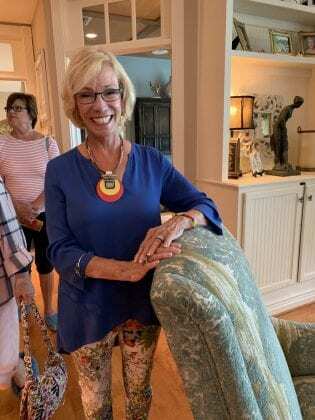 At the Willow House, the talk centered on the home’s unique paint colors, many of which attendees were marking down for redecoration of their own homes. 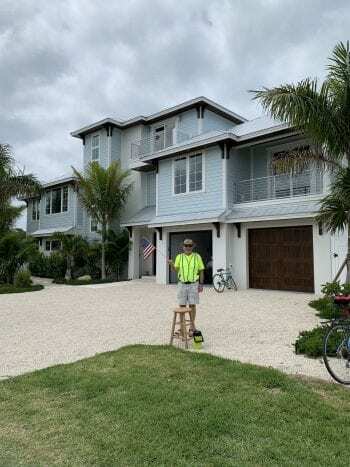 The Willow House is the only one on the tour that was not inhabited. The four-bedroom home was designed by Beacon Home Designs, built last year by Moss Builders and is for sale through Gulf Bay Realty. A favorite home on the tour was the Horne Home in Holmes Beach. 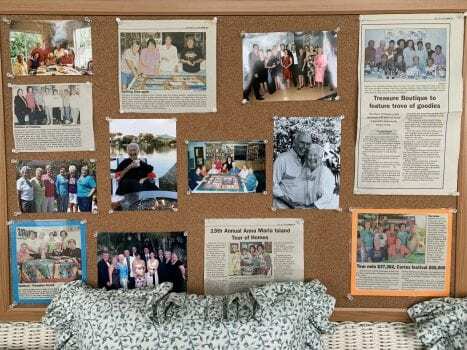 The house, previously owned by Ann Horne to whom this year’s tour was dedicated, was opened by the family especially for the event. 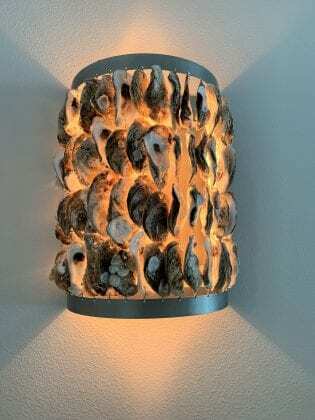 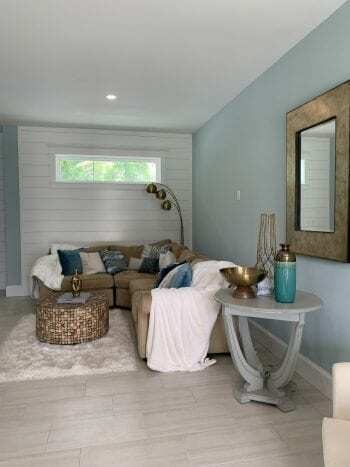 The beachfront cottage features woodgrain ceramic floors with no thresholds between rooms, handmade oyster shell wall sconces created from shells collected at Anna Maria Oyster Bar, owned by Ann’s son John, and nautical touches throughout. 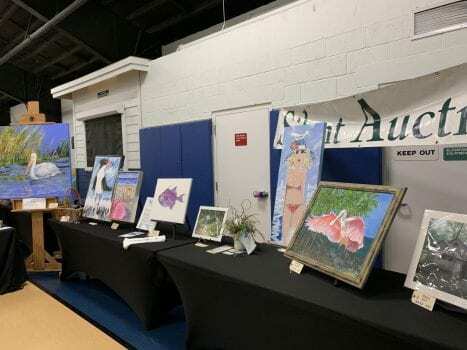 “That’s my favorite one,” one attendee said as she exited the property. 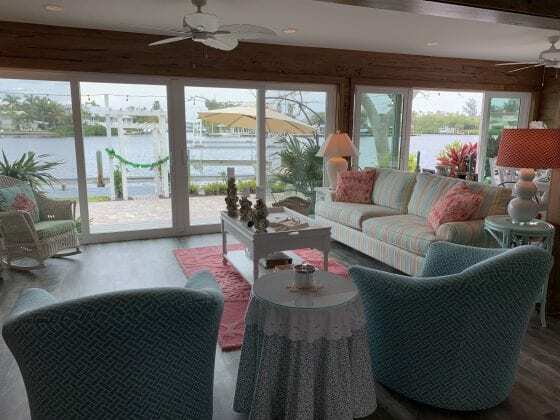 The beachfront Fangmeyer Home in Holmes Beach also was a favorite, featuring beautiful Gulf of Mexico views from almost every room. The 14-year-old house was painstakingly decorated under the discerning eye of owner Belle Fangmeyer. 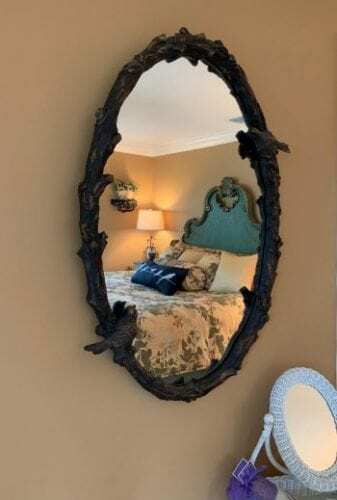 European touches lend an understated elegance to each room in muted colors and beautifully carved furniture and décor pieces. 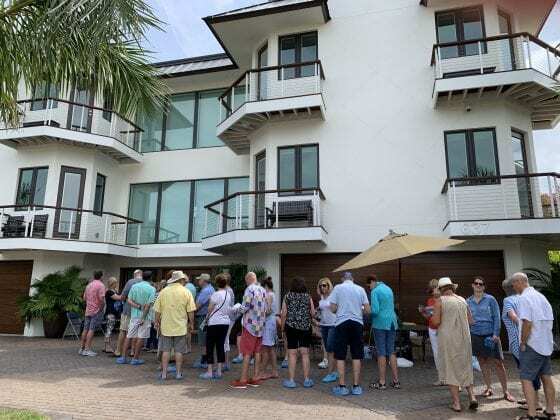 The smell of fresh flowers followed attendees through each of the three bedrooms, floating through open windows on the sea breeze. Dan and Belle Fangmeyer purchased the home in 2017. 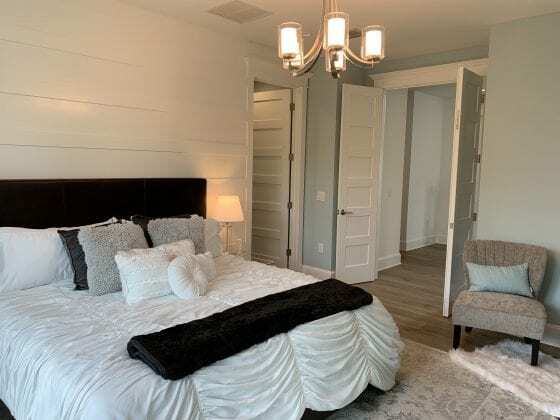 One of the homes that attendees said they were most excited to see was the Kerschner Home on Key Royale. Owner Kathy Kerschner said the home was “a labor of love” for herself and husband Dan. 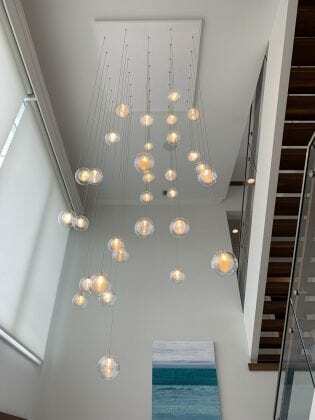 The couple carefully created the home with the help of local architect Gene Aubry and Shoreline Builders to reflect their personal style and showcase the work of local artists, including their latest acquisition, an original by painter Robert Johnson. Gorgeous views of the bay greeted visitors on one side of the house where the owners can view the sunrise. On the other side of the home, balconies adorn each room to allow for views of the sunset each evening. One of a kind light fixtures and chandeliers featuring glass artwork from Israel twinkle throughout the house. 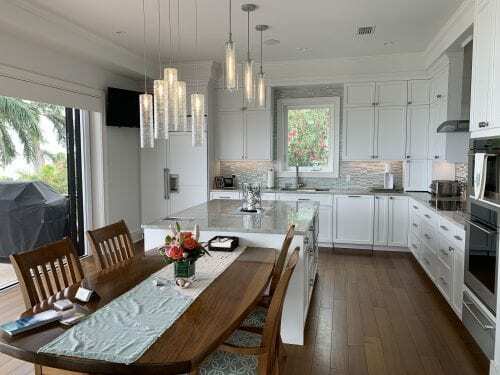 Handcrafted woodwork also is displayed throughout the first floor including the dining table created from a 100-year-old piece of sinker cypress and the Camphour wood countertop in the powder room created by Greg. 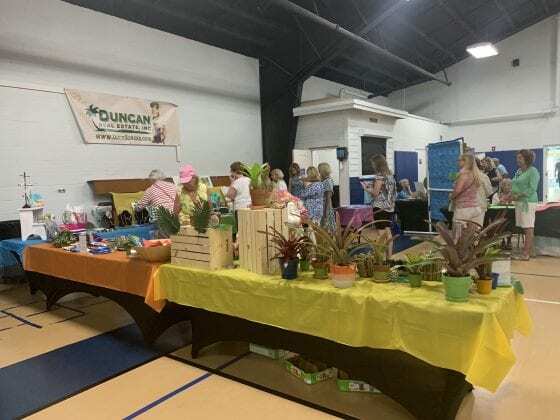 The final stop on the tour was The Center of Anna Maria Island’s Bazaar and the Tropical Treasures Boutique, sponsored by Duncan Real Estate. At the Center, attendees were treated to refreshments by Cupcake Delights and The Traveling Gourmet, local artwork in the silent auction and for sale in the Boutique, and items available from local vendors in the Bazaar. 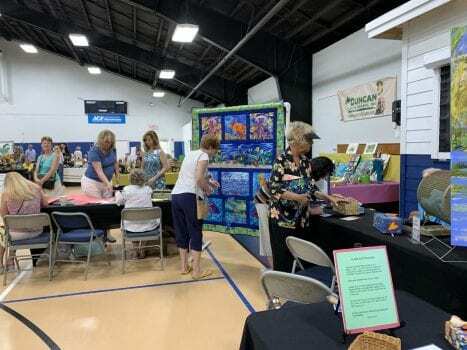 The quilt, created by the Eyeland Needlers for the event, also was on display with raffle tickets available for purchase. This year’s quilt was sponsored by Green Real Estate. 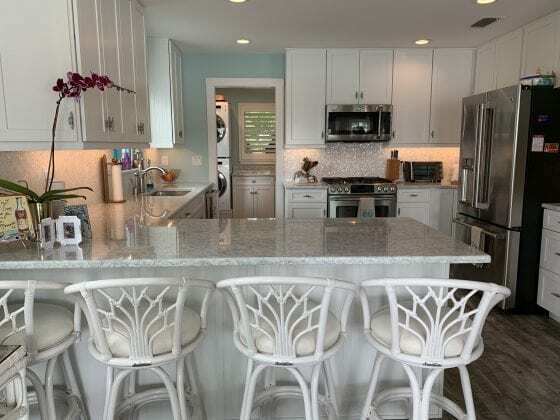 The Ugly Grouper was the music sponsor for the Tour of Homes. 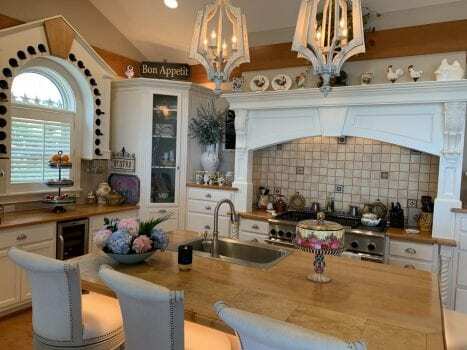 Kerschner said the home was “a labor of love” for herself and husband Dan. 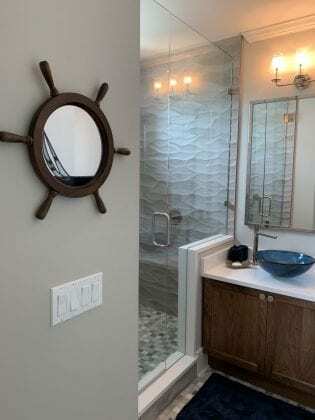 The couple carefully created the home with the help of local architect Gene Aubry and Shoreline Builders to reflect their personal style and showcase the work of local artists, including their latest acquisition, an original by painter Robert Johnson. 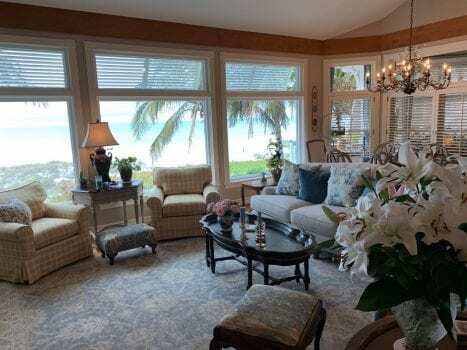 Gorgeous views of the bay greeted visitors on one side of the house where the owners can view the sunrise. On the other side of the home, balconies adorn each room to allow for views of the sunset each evening. 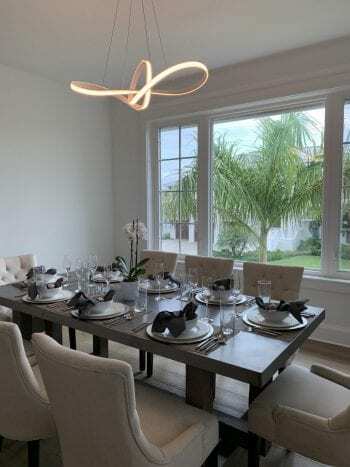 One of a kind light fixtures and chandeliers featuring glass artwork from Israel twinkle throughout the house. 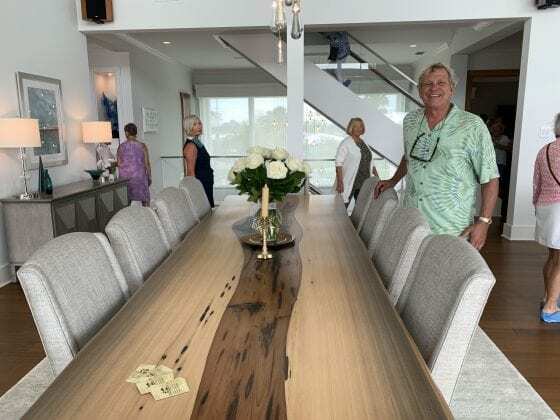 Handcrafted woodwork also is displayed throughout the first floor including the dining table created from a 100-year-old piece of sinker cypress and the Camphour wood countertop in the powder room created by Greg.